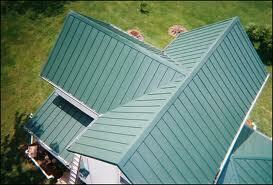 Why a Metal Roof - Performance Roofing, Inc.Performance Roofing, Inc. Very few Portland roofing contractors have expertise in metal roofing systems, and none can match Performance Roofing’s depth of experience in metal roofs. The design and installation process is very different from more familiar Portland roofing types, and requires specialized training and skills. If you are even considering a metal roof, spend some time with an expert from Performance Roofing to learn the many benefits you’ll enjoy when you select the top metal roofing contractors Portland has to offer.